What an immensely complex year it’s been. So much change. My life has taken such twists and turns that this Christmas period I’m most excited about the hiatus from from every day life. I need to catch my breath, absorb everything that’s happened and take a moment to both appreciate all that, and look forward to the new year preparing to break its first wave on my shore. 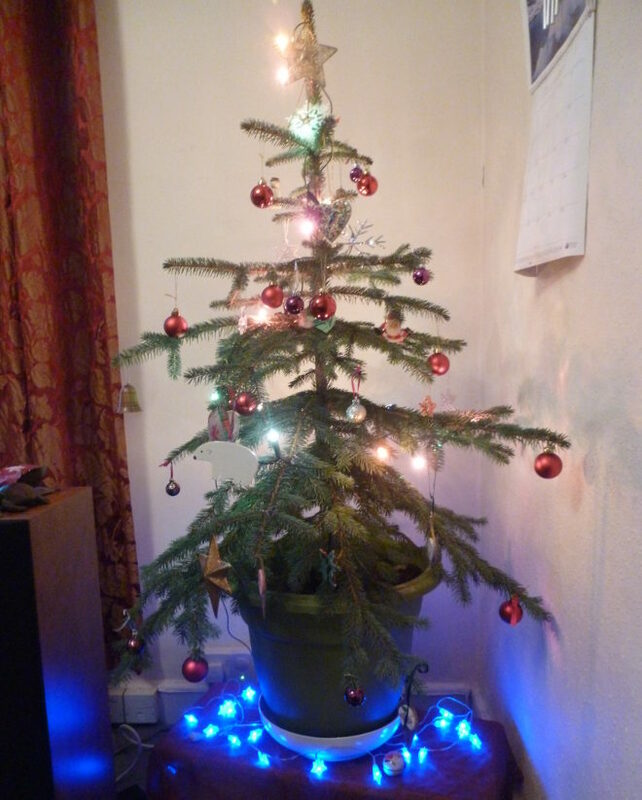 Our little tree has had its own challenges to face. 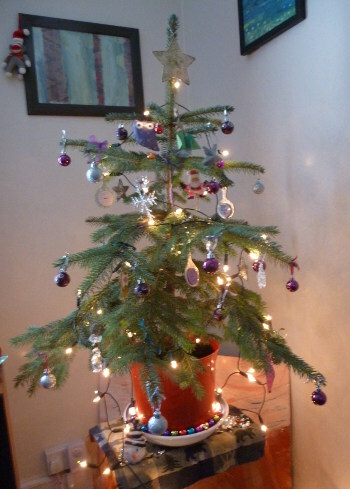 Early on in 2017, our wee spruce began to drop needles at an alarming rate, and no amount of TLC would revive him. So we sorrowfully planned to chop him up and bid farewell. But the thing is, we’re both really busy. After dragging the tree and his pot closer to the house, we left him alone for a week or two. In which time he began to sprout fresh green needles at the end of each bough. And while the boughs and stem remain skeletal and bare, each one boasts a green flourish – a hell yeah, I’m still here, suckers! to the world. I’m concerned this year’s bedecking could mark the end for our fine, if confused, tree, but we’re counting it as a final hurrah for this feisty fir. Whatever comes this January, we’ll know he’s done us proud. 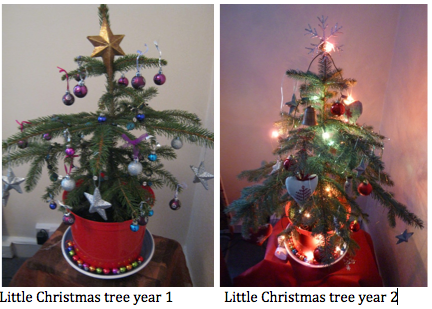 Our little Christmas tree 2015 – year 3. So Merry Christmas, however you choose to spend your day. And as always, remember, however dire things get, don’t give up. You never know what a burst of determination can achieve!! 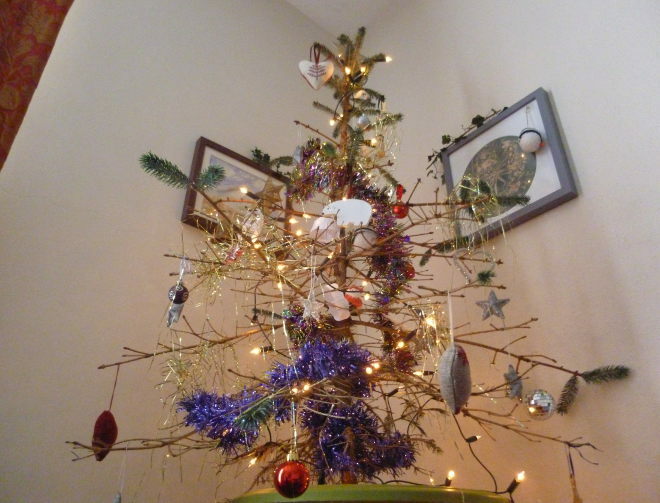 This entry was posted in Inspiration and tagged Christmas tree, Christmas wishes by Judy. Bookmark the permalink.